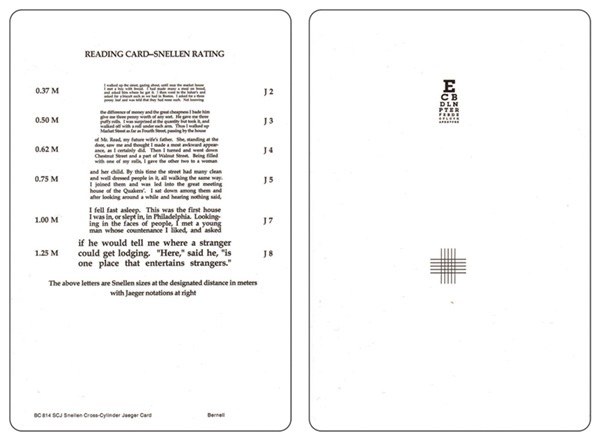 This Snellen X-Cyl Jaeger Card is a near point test card printed on both sides. Front side test for Jaeger 2 through 8. Back side tests Snellen and X Cylinder. 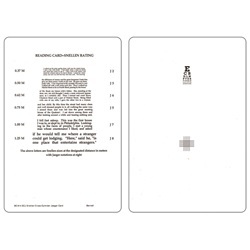 Card is made of durable plastic and is washable. Size: 5.5" x 8". Manufactured by Bernell. Comes as singles.